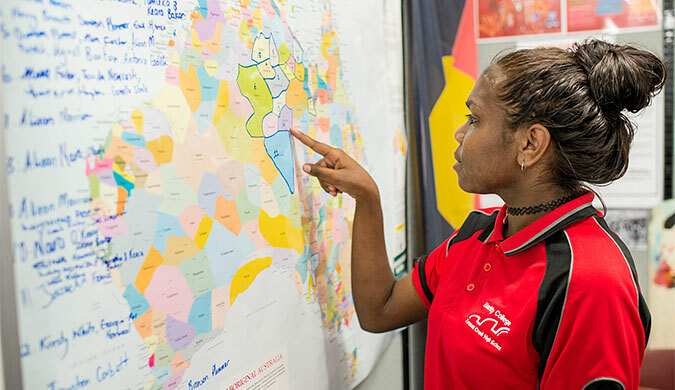 The Alice Springs Language Centre is providing greater choice in language education through a new Middle Years Indigenous Language Translation Course. The course provides students the opportunity to gain a deeper understanding of Indigenous languages including learning how to translate between English and Indigenous languages. As part of course trials conducted earlier this year, students from Centralian Middle School worked with tech-company iTalk to translate an app for smart phones from English to Arrernte language, which will be available in app stores in coming weeks. The Eastern and Central Arrernte Plants app translates Central Australian bush tucker and plants between Eastern and Central Arrernte language including where and when to find the plants and how they can be used. The aim is to expand the course to schools right across the Central and Barkly regions, and potentially work towards offering vocational education and training (VET) pathways in translation and communication through Centralian Senior College.